A new membership scheme aimed at encouraging Aberdeen city and shire residents to help steer the direction of a proposed £14 million adventure park at Durris Forest has been launched. 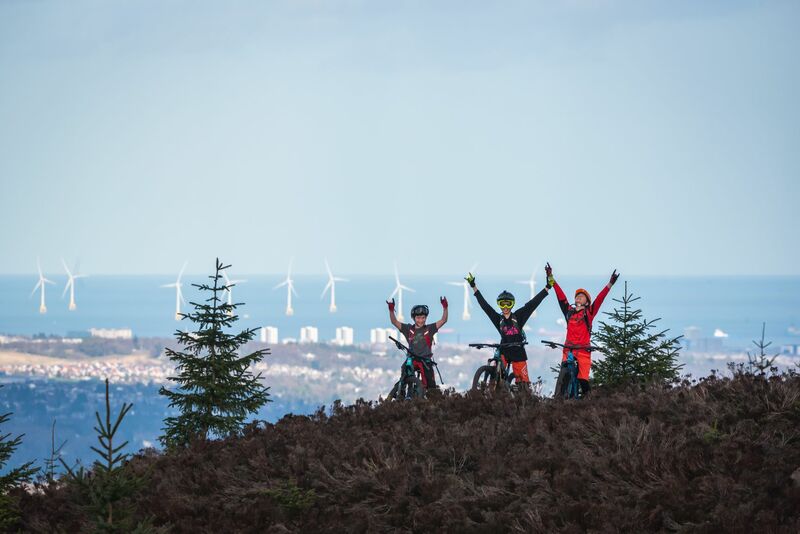 Gravitate North East, a mountain biking and adventure sports charity established by local outdoor enthusiasts, wants the community to get involved in plans to build a world-class attraction in Aberdeenshire by taking-up membership. Each member will have voting rights at the group’s annual general meeting (AGM) and receive discounts at outdoor sports retailers and facility providers throughout the region. The group’s chairman says he hopes the younger generation will be inspired to join up. Martin Byers said: “We have been overwhelmed by the public reaction to the adventure project and delighted to see how quickly our concept has grown in popularity. “A big part of our mission is to create a much-needed adventure hub here in the north-east that will inspire the next generation and increase participation in mountain biking and snowsports. We’re keen to get youths involved in the project during this exciting planning and design phase and hope people of all ages will welcome the opportunity to further engage with our team. Mr Byers added: “We have designed a scheme with four levels of membership – ordinary for over 18s, junior for under 18s, group for organisations whose members are interested in adventure activities, and associate for non-Aberdeen city and shire residents. Membership is priced at £10 per year. Newly rebranded as Gravitate North East, the Aberdeenshire-based charity was established in 2015 to develop plans for a “much-needed” outdoor recreation centre close to Aberdeen city. The plan is for more than 44km (27 miles) of chairlift-serviced mountain bike trails, an alpine park for skiing and snowboarding, and an adventure park with pursuits such as climbing, tree top rope courses and nature-inspired activities. It could create around 80 local jobs, attract 120,0000 visitors a year and generate £2.6million per year for the local economy. An application for planning permission in principle will be submitted to Aberdeenshire council this year.